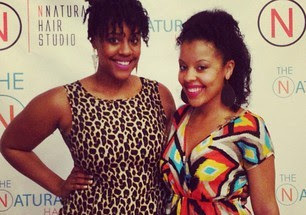 I am back with Part 2 of my natural Hair Talk with the Greene sisters of the awesome blog TheGreeneVademecum.com. If you haven't checked out part 1where VeCoya shares her love for her natural hair make sure you do so by clicking here. Part 1 will also give you a full explanation of this post title. 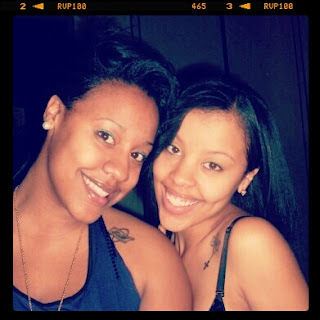 So now that we know more about VeCoya and her natural hair, its time you know more about her little sister Charla and her natural hair. Keep reading below to see what Charla has to share. By the end of both interviews you will be able both similarities and differences these sisters have in regards to their individual experiences with their natural hair! I know you very well, but my readers may not. Tell us a little about yourself.. I am currently a HR Specialist residing in Richmond, VA. Originally born and raised in Greensboro, NC! Presently I see myself as a creative soul searching for my niche. I know there is no one else on this globe like myself and that I was put here for a reason. Over the past few years I have learned to constantly strive to become the best version of me and embrace my individuality. In a nutshell I am an optimist on my own personal journey of spiritual growth and self-discovery. 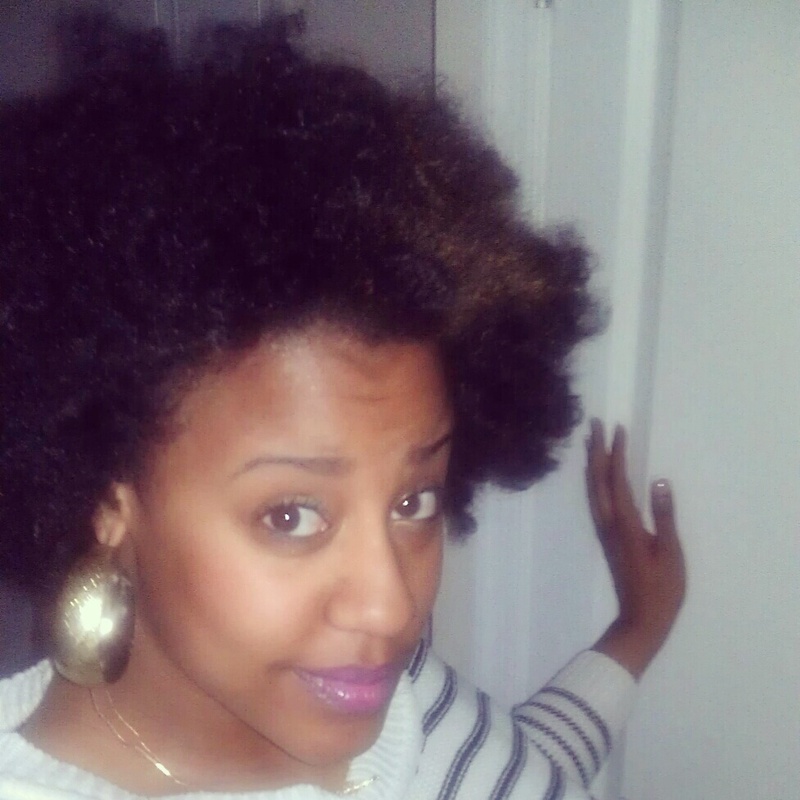 I have been natural for a little over two years now. I originally decided to go natural in May of 2011. I already have a very short haircut, close cut in the back. I had had my haircut for about three years and I just wanted to try something different. I decided to grow my hair out without using any chemicals. 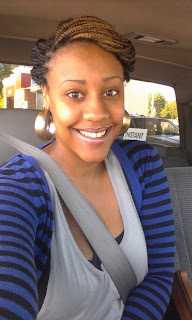 So I transitioned for six months and by Thanksgiving 2011 I cut off all of my relaxed ends. Throughout my childhood, I did not have a relaxer and my hair was in a very healthy state. I received my first relaxer right before middle school. From that point forward my hair went through what felt like, a never ending cycle of breaking off and growing back. I never seemed to be able to achieve the length that I once had in my younger years. I finally decided to just chop all my hair off at the beginning of my sophomore year in college. I kept my hair in a short cut for three years and I loved it! I cut it because I was tired of worrying about achieving length and I simply wanted to reinvent myself. Through having a short hair cut I was able to see that my hair did in fact grow and at a good rate! During my finally semester in school I decided to grow my hair out without using any chemicals. 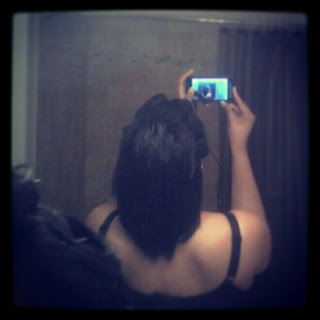 And the rest is history lol Been natural ever since and I have loved my results. I didn’t receive any reaction or questions from anyone as to why I was going natural. You and your sister are both natural but have completely different textures, is there one style you can do that doesn’t really work for her? Or a product that only works for you? Our hair textures are different but I don’t believe we have encountered that issue. The versatility of my hair, I have so many options when it comes to styling. Honestly I do not have a routine for my hair. However I am a stifler of avoiding heat! I am just very very cognizant of protecting my ends and keeping my hair moisturized. I guess you would define me as a less is more kind of girl. All of the natural hair products that I have I got from my sister VeCoya who is a product junkie lol. I like Taliah Waajid and Jane Carter products as well as African Pride Olive Oil. What is your “go to” style? Currently two strand twist and high bun lol. They are both such convenient styles. I normally avoid heat at all cost lol. I straighten my hair four times max a year. I guess you can say so. 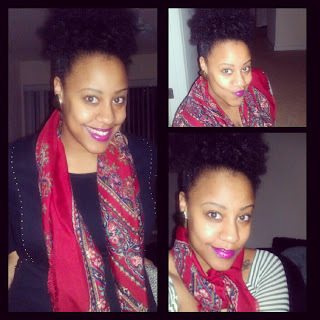 My sister and I have a lifestyle blog and natural hair is definitely one of the main topics that we discuss. Nope! And no I will not go back. My hair is the healthiest it has ever been in a very long time! 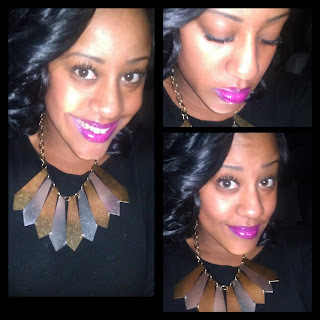 I do look at tutorials all the time but the only person that I follow is MsDanti1 (on youtube) I love her videos! Definitely start and/or continue. Give it time and adjust. Don’t become too obsessed or overwhelmed by what the next person is doing or saying get to know your hair and do what is best for you. You and your sisters have an amazing blog and your youtube page is evolving into something big! Where can my readers find you online? Thank you so much! I can be contacted very easily. Me and my sister have a blog called The Greene Vademecum which you assess by going to greenevdc.com. The definition of vademecum is ‘A handbook or guide that is kept constantly at hand for consultation.’ We are sisters blogging about aspects and areas of life that inspire us. That includes positive vibes, cool spots, fab hair, cute trinkets, music & more! We hope that our blog can serve as an outlet and that our positive words and experiences produce thoughtful and positive actions. Please join us on our blogging adventure. We can be found on most social networking sites! My hair to me is just hair. I take care of my hair the best way I possible can just by simply keeping it moisturized and avoiding heat. I am not obsessed with my hair and “I don’t sit around and watch it grow” as I like to say lol. I feel like I have already wasted too much time doing that for too many years. Having no chemicals in my hair/being natural is just the best option for me personally and my hair is the healthiest it had been in a long time. I am extremely happy with the results thus far and I am excited to see whats to come! 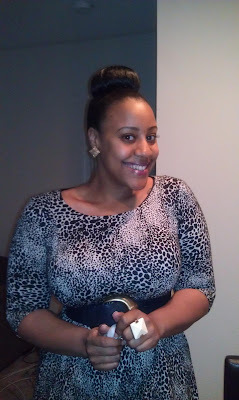 Charla, Thank you so much for allowing me and my readers to learn more about your natural hair! You hair always looks so good and like your sisters very strong and healthy. Heeeyyyy Mrs Carter!...Beyonce that is!